Entirely in English - in Binyanei HaUma! Kindly fill out your info, and purchase your tickets here below. We will assign you a seat in the amphitheater. We will then email you your ticket. With your ticket you will also be able to purchase Chassidut books in English at the amazing price of 4 for 100 Shekels! 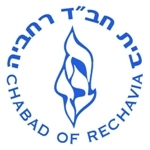 If you have any questions, please call Chabad of Rechavia at 02-800-1717. Looking forward to seeing you at the event!